This exhibit features athletic teams and facilities. 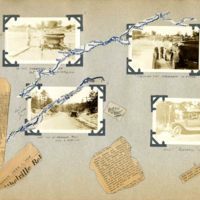 Digitized Scrapbook from Aubrey Neblett Brown, Jr. Davidson College Class of 1929. This scrapbook contains photos, newspaper articles, postcards, programs from plays and debates, and letters from family and friends. A true peek into college life from the years 1924-1929. Since the club's founding over a century ago, there have been many changes. The club is no longer made up primarily of faculty wives; instead, many of the women are faculty or professionals themselves. The club now also brings together different generations of Davidson women. This exhibit contains photographs of more recent years. Pictures from the years depicted in the programs and minutes are unavailable. Digitized programs cover from 1901 to 1941. 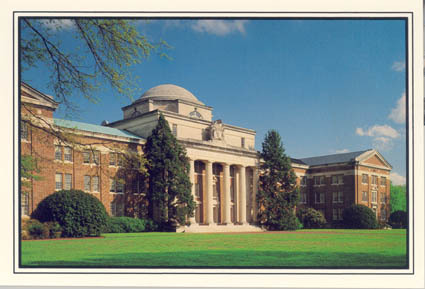 BookLover's meetings followed the academic year, beginning in the fall and ending the spring. Minutes from 4 ledger books: 1901-1907 and 1924-1937, have been digitized. 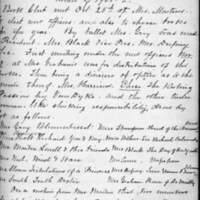 Transcriptions are recorded in the description of each item linked in the exhibit. 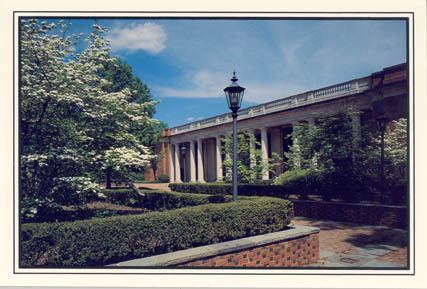 Along with the scanned image of each program, there are, when available, links to online versions of the books listed. In some instances, links are to scans of the title page and first page of the book. This exhibit includes pictures of New and Old Chambers. These colorized postcards from 1900 to 1920 depict prominent homes, businesses, and churches in the "New South" city of Charlotte, North Carolina. 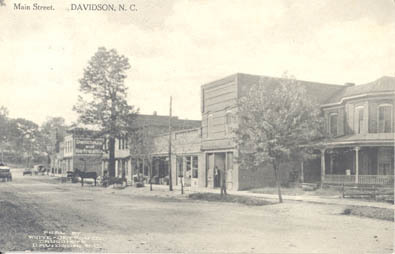 Dormitories at Davidson College have undergone many changes. 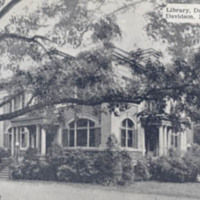 The libraries of Davidson College included in this exhibit are Grey Memorial Library, Carnegie Library, and E. H. Little Library. 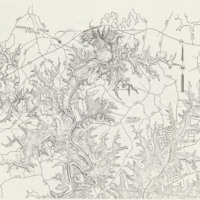 Digitized maps of the Lake Norman area including Mecklenburg County, Iredell County, Davidson, NC and Davidson College. The Town of Davidson shares in the history of the College, and featured within this exhibit are postcards of Main Street, trees, and residences of faculty.